Totally remodeled and furnished townhouse in a super location...Just two blocks from Florida SouthWestern State College (formally Edison State College). 2 bedrooms - 2 baths in a gated community with 24 hr live guard at gate, on public transportation and within walking distance to all amenities. 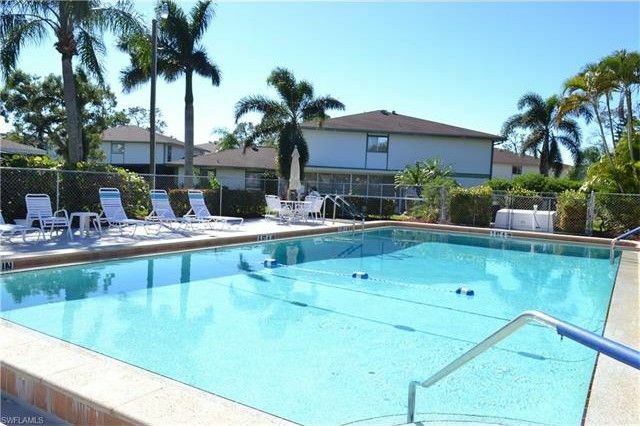 Very well maintained community with 2 pools, tennis courts, private roads, featuring 4 units per building, all with an under building parking. This unit has new laminated floors throughout, AC unit and stove were installed in 2017, fridge and washer were installed in 2016, new microwave installed in 2018. Low maintenance fees and taxes make this a great investor opportunity in a rental market with high demand, community allow 30 days lease agreement. Professionally decorated with all brand new furniture, property location is on 2nd floor with private Balcony. Garage and storage room located on first floor. Biggest floor plan available on this community. Call for your private showing today!